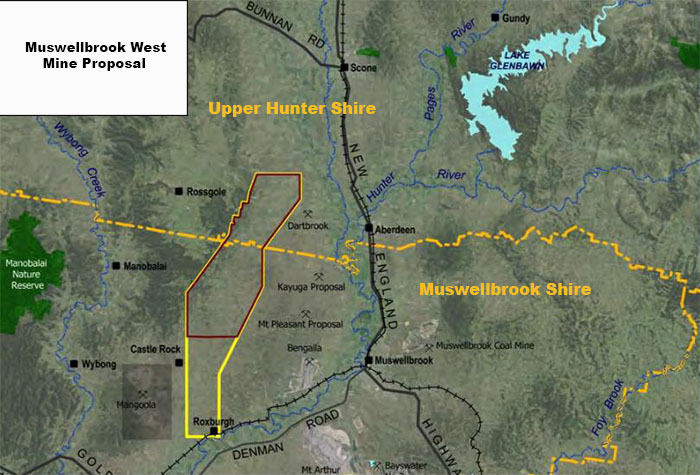 INVESTIGATIONS are continuing for the Muswellbrook West mine with the project not expected to be operational until the early to mid-2020s. In the mine plan Idemitsu Australia Resources presented to the gateway panel the mine is projected to have a production rate of 15 million tonnes per annum of thermal coal during a 30 year mine licence and employing between 500 to 1,000 people. It is located in the Muswellbrook and Upper Hunter shires, approximately 10 kilometres west of Muswellbrook and seven kilometres south west of Aberdeen, two-thirds of the mine is within Muswellbrook and one third in the Upper Hunter. 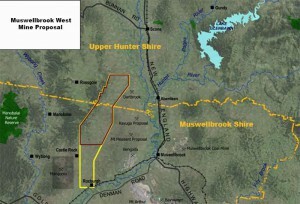 The Muswellbrook West mine proposal lies within the Muswellbrook and Upper Hunter Shires. There two pits and a rail loop proposed connecting to the Newcastle rail line and the Newcastle port for export markets. The conditional gateway certificate was issued in May 2015 and the project is currently under an assessment licence as the Company continues to conduct investigations. The gateway recommended collecting additional information for the ground water model and thee cmpany has drilled further ground water monitoring bores, there are ten in total, three of which use vibrating wire piezometers. The panel also highlighted the biophysical strategic agricultural land; essentially areas of soil which are suited for productive agricultural enterprises that they would like the company to investigate more and address how they will manage the land during mining and post-mining. The next stage in the development of the mine is to start preparing the preliminary environmental advice (PMA), the stage before the formal environmental impact statement (EIS).